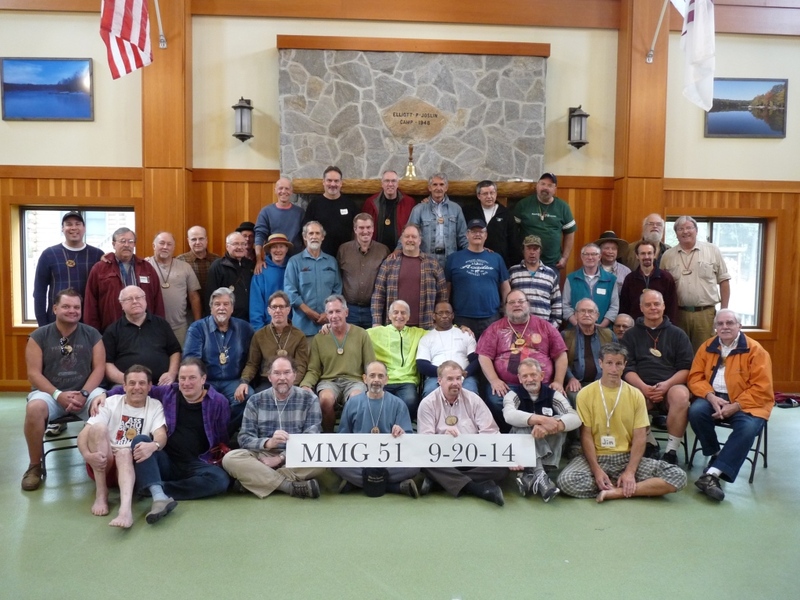 Massachusetts Men’s Gathering (MMG) is a participant-organized and participant-led weekend that happens twice a year at a year-round camp/retreat center. Like similar format retreats throughout New England and in several other states, MMG does not hire “experts” to run workshops or provide the entertainment, but trusts in the abilities of whoever shows up! The MMG Organizing Committee (OC) plans and sustains the framework for the spring and fall weekends, but not the content. Each participant brings his piece, his truth into the framework to make the content rich. Whether we are offering a workshop, talking over coffee for hours with a new-found kindred spirit, or just exploring the peaceful country setting, we are MMG. 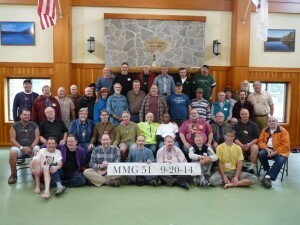 We who gather for Massachusetts Men’s Gathering are in some ways a very diverse group: we come from both urban and rural Massachusetts as well as from New Hampshire, Connecticut, Rhode Island, New York, Pennsylvania, Maine and Canada. We are happily married husbands, widowers, men still smarting from divorce, gay men, gay couples, and confirmed bachelors. We are lawyers, carpenters, software engineers, therapists, graphic designers, professional entertainers, healthcare workers and students. We are retired, unemployed, and thrilled to get away for 48 hours from the pressures of our stressful lives. 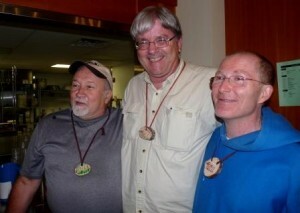 The majority of MMG men are middle-aged, with some guys in their 20’s and some retired. Minimum Age is 18. We encourage father/son pairs. MMG is inclusive of all men, regardless of their race, color, ethnicity, national origin, sexual orientation, disability, age, or religion. MMG is a spin-off of Mainely Men, a semi-annual men’s gathering on Lake Cobbosseecontee in Maine that could no longer accommodate all the out-of-staters who wished to attend. With Mainely Men seed money and format, we continue to grow and evolve in our own way. We’re proud to have been able to follow the example of our Maine brothers by offering seed money and advice to help other men’s events get started in New England. The first Mass Men’s Gatherings were held at the YMCA Camp Becket in the Berkshires. As needs changed, we tried out a few different camps, including one camp (Awosting) that was not in Massachusetts. Most recently MMG spent about ten years at the Barton Center in North Oxford, MA, and in 2010 the MMG membership voted to move to 3 miles deeper into the wilderness at Camp Elliott Joslin in Charlton, MA. Camp Joslin is a more rustic, private, and masculine-feeling camp, where we have freedom and space to grow. Participants agree that MMG is not so much a particular physical location as a welcoming spirit and state of mind. MMG operates best in a location where we have exclusive and private use of the facilities, and ample space to hold workshops. MMG is all about creating a safe and sacred space for our weekends. Attendance at early MMGs was deliberately capped at 100, although one time it reached 120. Recently attendance has run anywhere from 45 to over 50 men. In November, 2012, the organization was incorporated as the non-profit, Massachusetts Men’s Gathering, Inc., and in 2013 became a 501 (c) (3) tax exempt entity.